chipmunk « Nothing in Biology Makes Sense! You know the type. Big, brown eyes. Cute, little nose. Long, striped tail. Chipmunks are adorable and one of the more easily viewed yet still kind of exotic North American mammals (in my opinion). 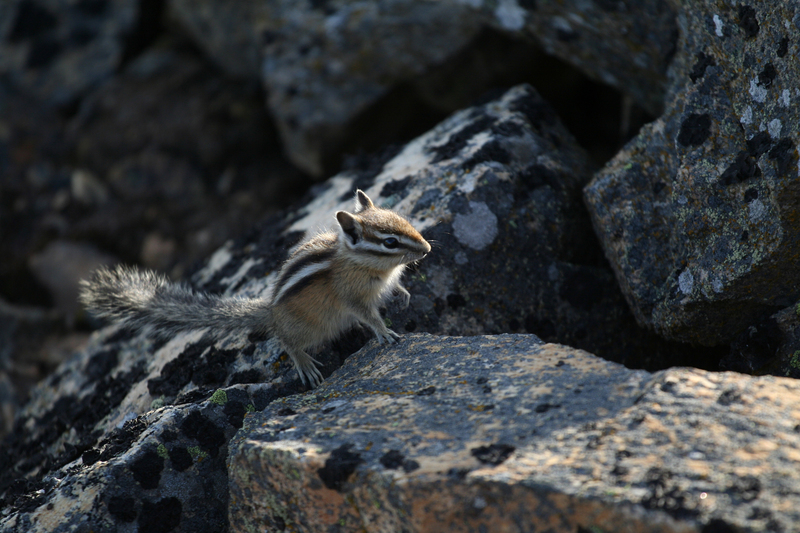 I worked on red-tailed chipmunks for my Master’s degree at the University of Idaho with Jack Sullivan. Sullivan (et al.) just published a review of all the chipmunk research that’s taken place in his lab over the past 10 years or so. Central to the review is the concept of divergence with gene flow (DGF), but let’s start with some back story.